During the week of Dec. 4, Wesley Chapel Elementary celebrated Computer Science Education Week, the annual nationwide celebration that highlights the importance of computer science in education systems. 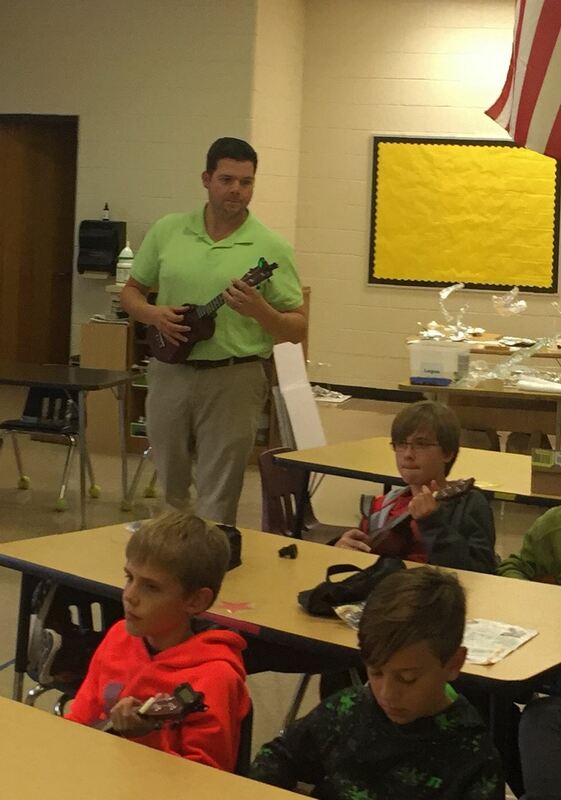 Wesley Chapel Elementary parent David Newell spent his week at our school teaching computer science to students in every grade level. Attendance is ESSENTIAL for learning! Did you know that we ALL play a role in ensuring children to attend school regularly? "Making Giant Koinobori with Small Fish by Small Hands of Children Around the World." A global project celebrating children in Japan! Wesley Chapel students were excited to be part of the Swimmy project for the 2nd year in a row! A WCES parent, Mrs. Wong, invited us to participate in this special global project. WCES celebrates Read Across America Day...with a Global Twist! Students and staff enjoyed a day full of special guest readers, 'DEAR time, and Seuss-filled activities! 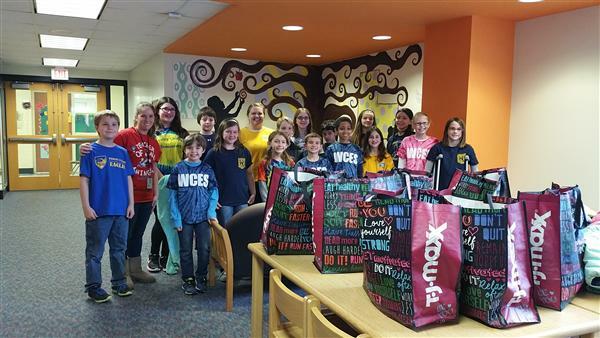 The newly-formed Student Council at Wesley Chapel is making a difference. 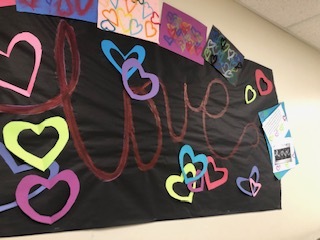 The student council consists of 2 students from each 4th and 5th grade classroom. Teacher coordinators are Mrs. Karen Mathieson and Mrs. Megan Cox. In order to become part of this group, the students were required to write essays explaining why they would be a great representative for their classroom. They were voted on by the peers in the classrooms. 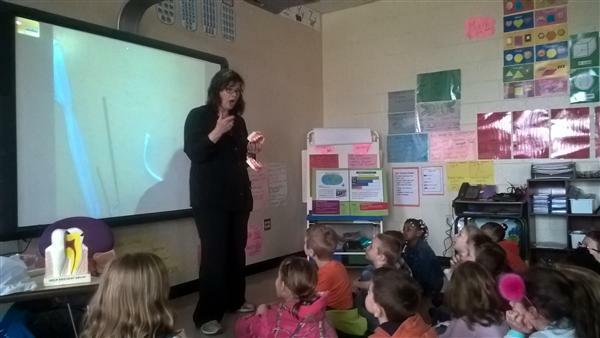 First Grade Students Learn About Dental Health from an Expert! Dr. Meg Lochary, a dentist at Pediatric Dentistry of Matthews, visited first grade students at Wesley Chapel Elementary. The students were provided with very practical information on what dental health is, and why it is important to take care of our teeth. Third Grade Students participate in "Market Day"
Our entire 3rd grade participated in a special day on Friday January 29, 2016! Wesley Chapel Students Get a Global Perspective on the Holidays! Kindergarten through second grade students at Wesley Chapel Elementary School enjoyed a wonderful performance by actors with Bright Star Theater Company. There was a constant buzz of excitement in the building as students at Wesley Chapel Elementary School participated in the National Hour of Code Initiative. 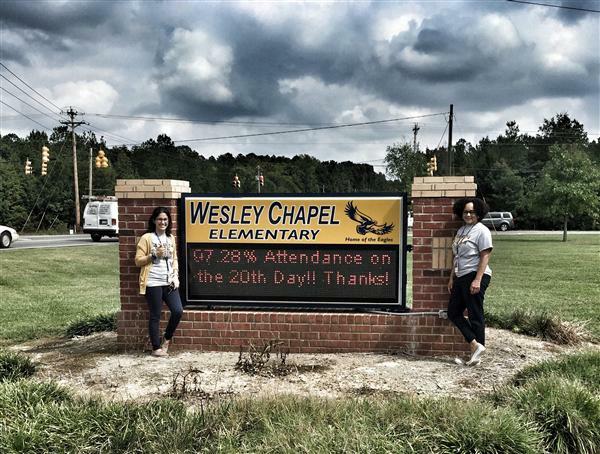 Friday, November 6th was College Spirit Day at Wesley Chapel Elementary School. There were various activities taking place in classrooms to observe this day. Kindergarten and First Grade: Getting Global in P.E. Classes!